Vegan Camp is scheduled for Easter Weekend (19-22 April). Vegan Camp (Kaimanga Mutunga Wiki Aotearoa) is held biennially in the mountain village of Hanmer Springs, in New Zealand’s beautiful South Island. The aim of Vegan Camp is to build vegan community and to provide an opportunity for vegans to come together to relax, indulge, grow and play. Delicious vegan meals will be provided and both group and independent activities will be scheduled so that you can get to meet or be reacquainted with other vegans, whilst also having your own space and chill out time. Accommodation options include motel units, cabins and camping in tents – something for every preference and budget. Meals will be communally shared at tables. Our chefs will prepare the menu and cook the food, with help from volunteers. Please bring some vegan baking and hand in on arrival. These will be shared at supper times. Please tell us on the registration form if you have any allergies or intolerances we need to be aware of. We will cater for allergies and intolerances but not preferences. If you are not allergic or intolerant to a food, please don’t list it on your registration form as it does require extra effort and expense for the cooks to do alternatives. We are happy to help you if you need it though. Vegan Camp is open to all vegans. If you don’t know, the definition of vegan is someone who excludes all animal products from their diet. If you’re not vegan you can still attend by going vegan for at least two weeks before the event or by accompanying with a vegan. We ask for everyone to behave respectfully towards each other. Photos taken at Vegan Camp may be used by us to promote veganism. If you have objections to being in photos please let us know in advance. This is a drug and smoke-free event. Due to camp rules, dogs are not permitted (guide dogs ok). If we have plenty of participants, parents of young children will be relieved of their shift duties. The following is the general schedule for the weekend. Some things still need to be confirmed and if you wish to also host a workshop or organise and activity please let us know ASAP. 7.30pm – Welcome. Free time. 7.30pm – Mini Quiz – teams of vegans attempt to answer quiz questions in competition. Vegan Ice Cream Eating Competition – can you beat Asher’s amazing feat of eating 100gms of vegan ice cream in 36 seconds which he set at the 2013 Vegan Weekend? It hasn’t been beaten yet, in any age-group! Vegan Weekend 2019 officially ends. You will be given a packed lunch to take with you. Walks – there are a variety of short and longer walks or varying difficulties. Some are suitable for children. Shopping – Hanmer Springs has many boutique stores to buy clothes, gifts and arts and crafts. Vegan Camp is especially welcoming to vegan families. The Hanmer Forest Camp venue is ideal for children. There is an excellent playground, a large grassy field for games, cabin rooms that can accommodate families of up to 6 people and lots of other kids to play with. We hope that child-free participants will offer to spend time with the children and play games with them; however it is important to remember you are responsible for the children you bring and that Vegan Camp is unable to provide child care. Parents may wish to share care (e.g. taking a group to the playground) and should work this out between them. If you can bring some toys and games for your child and other children to play with, that would be very welcome. Please understand that children like everyone, are welcome at Vegan Camp, but everyone, including the children, feels happier and safer when there are clear boundaries and expectations of behaviour. Your pre-schooler is never left without an adult caring for them who is directly responsible for them. Parents of older children must know where they are at any time. Your child cleans up any mess they make. This includes packing away toys etc as soon as they are finished with them. Children under 10 years do not go into the kitchen at any time. If children need something from the kitchen, for safety reasons, they need to be outside the door whilst you fetch what they need. These rules are so that everyone can have a safe and good time at Vegan Camp. On your registration form we will ask parents to sign a form agreeing to keep to these rules, for everyone’s enjoyment. Vegan Camp will be held at Hanmer Springs Forest Camp. Forest Camp has a range of accommodation options that should suit all budgets. Families will be staying in the cabins unless they are camping. We will be using the Big Kitchen for meals and social activities. Accommodation options including rooms for singles, couples and families or groups of friends with shared bathrooms (or private bathrooms at no extra cost for Kiwiable card holders). There are also two motel-unit type of studio flats available. Tents and camper vans can also be accommodated; however the sites are not powered. The shared bathrooms are modern and very clean. Kiwiable card holders are able to use the more private disabled toilets for no extra cost (email kiwiable@ccc.govt.nz). Costs will vary depending on the type of accommodation you require. For those who don’t wish to share a room, private rooms can be booked (for one or two people) when you register for Vegan Camp for an additional cost. There are a limited number of double beds available which are available on a first come basis. Please indicate on your registration form if you want a double bed. If you are not allocated one, it is because they were booked out before we received your registration. Please DO NOT book via or contact Hanmer Springs Forest Camp with your inquiries, email us instead. We have reserved cabins in the Ensor Lodge. Ensor Lodge: is a modern block of cabins, with heating, which can accommodate between 3-6 people. They contain single bunk beds with a small number offering double beds also. There are two self contained motel-type units attached to Abilities Lodge for anyone wanting a private bathroom and own kitchenette. These units have a queen bed and one has an additional bed settee. These are available on a first come basis. If another group is booked in the Abilities Lodge where these units are situated, motel users may hear sounds from the other users. However, the entrances are separate. It is possible to bring your own tent or camper van. Forest Camp offers 24 non powered spacious sites. Please note that Vegan Camp is being held in Autumn in the mountains and it could be cold if camping. For other disabilities, please let us know if there is anything we need to be aware of so that we can make it easier for you to attend. All of the family-style cabins in Ensor Lodge are well-suited for anyone using a wheelchair as they are an open-plan with a double bed and either one or two sets of bunks. Accessing the Ensor Lodge is easy for people of all abilities as wide walkways and ramps lead up to the cabins. Attached to the Sequoia Wing is an accessible toilet/shower facility that is available to use for anyone that has a disability FREE of charge. Within the toilet/shower facilities there is a shower wheelchair in each facility available for use. The Big Kitchen where we will be having meals and activities is also wheelchair accessible. Please let us know at registration if you use a wheelchair or other disability so that we can ensure you are allocated a suitable room and have free access to the accessible toilets and showers. 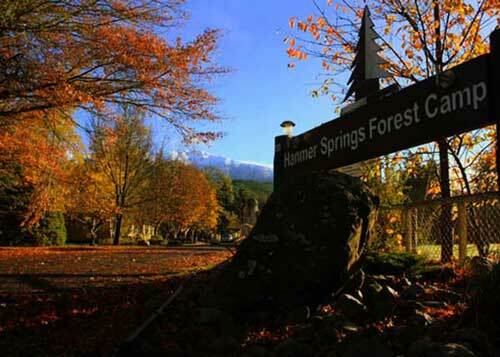 The venue is Hanmer Forest Camp (run by the Hanmer Forest Springs Forest Camp Charitable Trust). The address is 243 Jollies Pass Road, Hanmer Springs (a 90 minute drive from Christchurch). If you require a ride to Hanmer from Christchurch or from anywhere else, please try to organise this through the Facebook page or your own networks, as we may not able to co-ordinate car-pooling this year (we will try but we are very busy so cannot guarantee it). If you do find a ride with another attendee of Vegan Camp, please contribute $10 one way for petrol and give this directly to your driver. You can also book a shuttle. Shuttles can be booked via www.hanmertours.co.nz or www.hanmerconnection.co.nz. Please remember it is Easter Weekend so you MUST book in advance. It will pay to check times before booking flights etc to be sure you can get a shuttle for the time you need as these operate at certain times only. We can pick up from Hanmer (only if you pre-arrange it with us) if the shuttle won’t take you to Forest Camp.